How does a former student-athlete channel her energy after a busy workday? 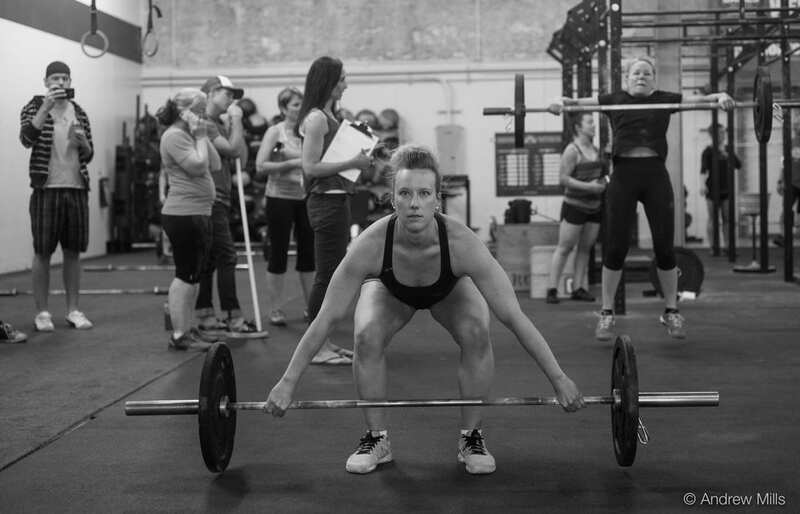 Systems engineer Lisa Peters spends her evenings and weekends at the CrossFit gym, where she builds on the skills that she originally discovered as a competitive swimmer. 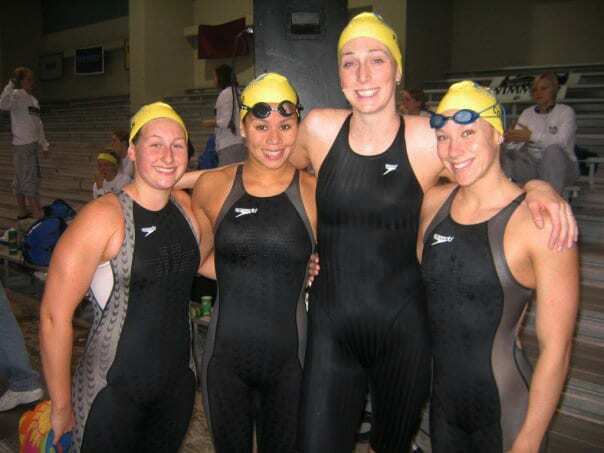 A career engineer with Lockheed Martin, Peters (née Covey) began her athletic career at a summer swim league in the Bay Area, where she fell in love with the speed and freedom of freestyle swimming. At San Jose State, she was inspired by Coach Sage Hopkins to take her athleticism to the next level. Peters competed in the 50-, 100- and 200-meter freestyle events, as well as team relays. She learned to juggle school with early morning practices at the pool, sacrificing vacations for summer and winter training. She loved how the sport forced her to focus on her individual growth while still participating on a vibrant team—skills that have carried over to her life beyond the water. She was named to the Western Athletic Conference All-Academic team for winter sports during her sophomore, junior and senior seasons for competing in required competitions and maintaining a minimum cumulative grade point average of 3.2. Her junior year, the swimming team awarded her the Scholar-Athlete award, given in recognition of her commitment to sport and school. Originally an advertising major, Peters says that her secret loves were always math and science. Growing up, she shared that love with her father, who would challenge her with math problems. He became one of her biggest advocates at the poolside and in school. Though she was interested in the psychology of advertising, her passion for physics won out in her time at SJSU. The fall of her senior year, she attended an SJSU job fair, where she scored an interview with Lockheed Martin, securing a job for after she completed her degree. The position was contingent on her maintaining a good GPA. Peters kept her promise, receiving an award for earning the highest GPA of all Spartan swimmers, as well as the Spartan Award, which recognized her dedication to the team, athletics performance and good citizenship. Her parents and brother, also an athlete, accompanied her to a special awards reception—a college highlight that represented so much to Peters. Following graduation, she moved to Arizona to start her job as a signal processing engineer for Lockheed. Though she loved her work, it was odd adjusting to life without early morning practices, weekend competitions and team camaraderie. Enter CrossFit, a high-intensity fitness program that incorporates many of the strength conditioning and weight training elements that Peters had practiced as a swimmer. At the gym, Peters felt inspired, challenged and ready to apply her competitive nature in a positive way, both in exercise and at work. Eager to learn more ways to explore careers in STEM, Peters was admitted to Lockheed’s Engineering Leadership Development program, a three-year rotation that offered her the chance to try out different roles within the company’s departments. She eventually landed a position as a systems engineer, where she designs systems, writes requirements for apps and websites, and works with software developers to create products. On her days off, Peters, who is now based in Colorado, can be found at the gym, hiking with her dog, snowboarding or on the golf course, where she has been perfecting her swing with her father Scott and husband Chris. She says that her experience as a Spartan swimmer set a strong foundation for life after graduation.